Since today are three very different addons for every palate downloadable. For one thing the BMW M3 E30 Cabrio, moreover an OZ rim pack and finally the SLR Stirling Moss Background from tobibrec. You can find more information about the individual addons in the entire news. BMW M3 E30 CabrioOnly 768 are produced. And now you can drive him in World Racing 2: The BMW M3 E30 Cabrio with 215 HP. pmx6s had converted this modell to WR2, so everyone can drive this vehicle. The E30 is with a topspeed of 250 km/h a racecar, but usable for relaxed cruising, too. Well, click on the download button to have this car with cockpit included! Our second addon is a rim pack, which is modelled by Kodiak. He offeres them to download now. They are available in white our black, you can install them on every car and drive with them or make screenshots. Our third addon is a background, which is made by tobibrec. 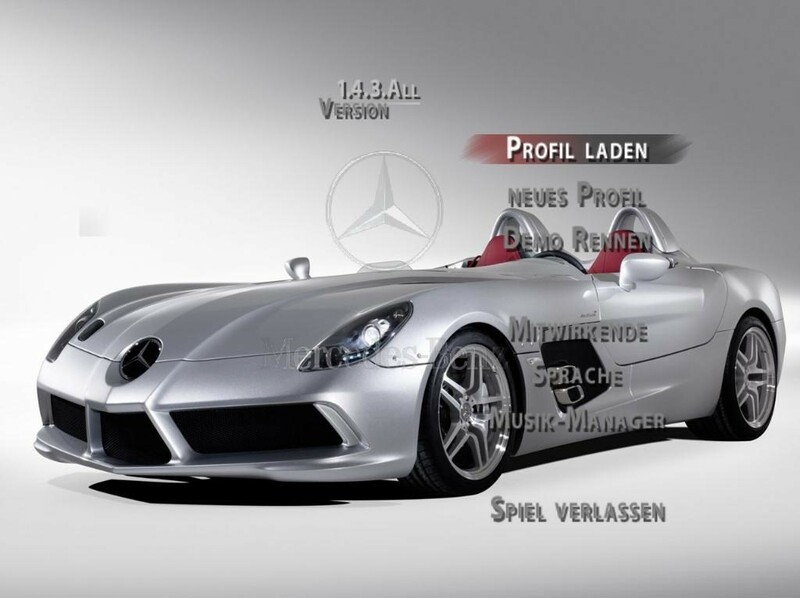 It shows the SLR Stirling Moss, which is dedicated to the eponymous racing driver. With a download this supercar can decorate you menu.